With a new year under way, it’s a good time to explore what’s in store for the beverage industry. Will craft beer and rosé continue to dominate the local markets? Will greater numbers of health-conscious consumers continue to influence cocktail culture? We asked a handful of local experts to weigh in on which beverage trends they project will be popular, and which may lose ground in 2019. Here are their predictions. Dave Rudman, USA Business Development Director of The Wine & Spirit Education Trust (WSET) based in Hartford, who predicted a significant growth last year in wine and spirits education, did in fact see a growth of 21% in WSET candidates. A number of sampled bartenders and bar managers also state an increased emphasis on education through suppliers and associations. MeKayla Roy, Bartender at Zohara Mediterranean Kitchen and 2018 Connecticut Restaurant Association Bartender of the Year, also sees increased focus on education within the bartending community in the coming year. “With the development of more local USBG chapters and with brands increasing their education budgets, opportunity is everywhere,” she said. Renee Allen, Founder and Director of the Wine Institute of New England, says Millennials will continue to influence wine and spirits trends in 2019. “Their thirst for knowledge will continue to grow, bolstering the current trend of dragging appellations such as Savoie and grapes such as susumaniello out of obscurity and into the mainstream,” she said. Carroll J. Hughes, Executive Director of the Connecticut Package Store Association (CPSA), predicts the continued popularity and growth of breweries in Connecticut in 2019. According to Hughes, Connecticut breweries have been obtaining licenses in the past 15 months “at a galloping pace,” a rate of two per week. It’s no secret that customers enjoy their local breweries, which Hughes said are “becoming community centers” and municipalities are enthusiastic about their continued growth as well. “People at the local level want to do everything in the municipal government they can to foster the development of these and increase their activity in their locations,” he said. “The package stores are glad to have the diversity of product.” The influx of breweries and distilleries in the state has led to increased support of small businesses, since many partner with local farms and other businesses to incorporate fresh ingredients into their products. And, customers enjoy supporting Connecticut products when they shop, he said. “People like package stores more when we have Connecticut sections … and public officials love the continuity and excitement of having Connecticut products on shelves,” said Hughes. Khalid Williams, Bar Manager at Max Amore in Glastonbury and Brand Ambassador for Bloomfield-based Waypoint Spirits, predicts, “Doing the simple things consistently well while still having a suggestion of high style will be the standard that we are measured by going forward. DeSerio sees the demand for low-ABV cocktails and spirits continue to increase “as more and more consumers look to healthier lifestyles.” He also predicts more bartenders will move their most popular cocktails to a draft system. 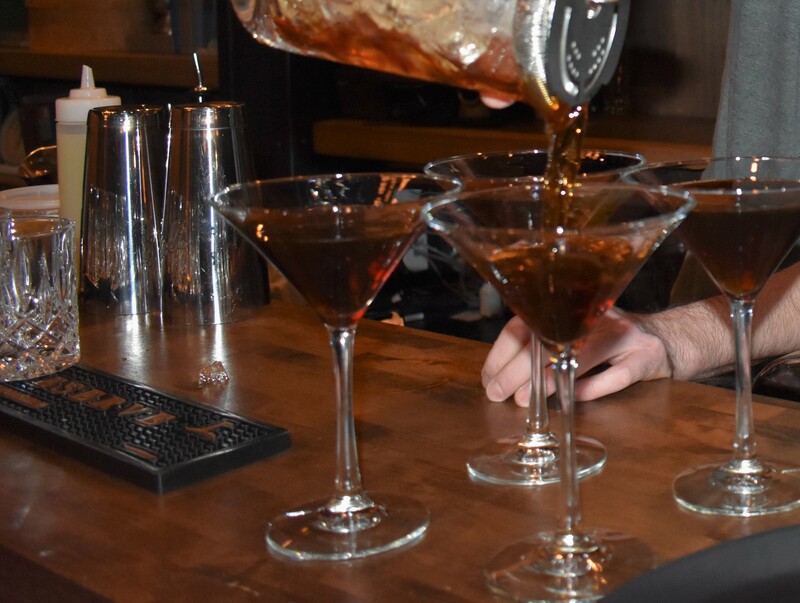 The recent popularity of “guest bartenders around the state” and “more themed pop-ups” will also continue to gain momentum in 2019, Greenwood said. Allen also anticipates that the emphasis on health and environmental sustainability will continue, leading to the increasing popularity of mocktails, lower-ABV wines, cocktails made with superfood ingredients and vegan wines. “Wine on tap, kicking around for the past 30 years, is poised to shine in 2019, offering a by-the-glass option with a considerably kinder carbon footprint,” she said.